Rex was born in Albert Terrace, Towcester, Northamptonshire on 1st April 1894. He was baptised on 13th May 1894 at Towcester Parish Church. According to the 1901 Census, Rex was living with his parents in Albert Terrace, aged 6. He attended Towcester Grammar School leaving at the age of 16. He also sang in the Church Choir with his brothers. 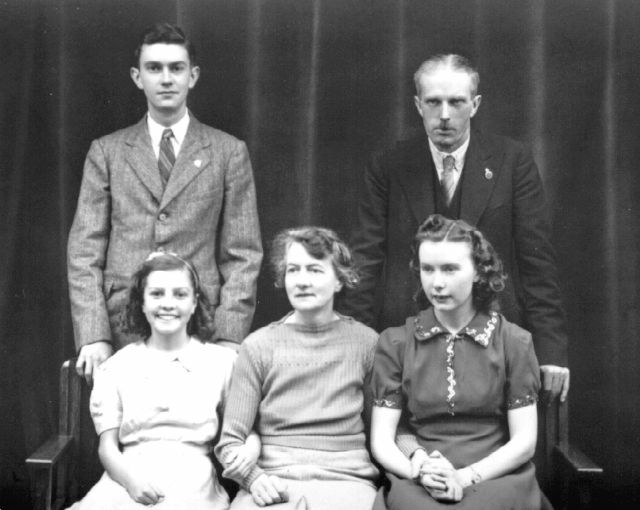 On leaving school he went to work in Towcester Post Office where his brother, Sydney, and in In April 1914 he joined the Lacre Motor Company in Letchworth, where his duties related to Stores and Stores Accounts, Time-Keeping, Wages Accounts and Accounts generally. In May 1915 he was called up into the Beds Regiment and joined the Army Catering Corps in Felixstowe as a Clerk; ultimately becoming a Sergeant. 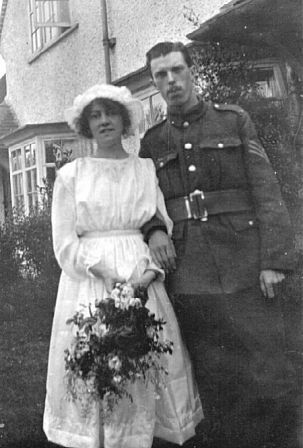 Rex married Dorothy Rose Turner, “Rosie” on 4th June 1918 at St Mary’s Church, Letchworth. His occupation is recorded as Clerk - presumably as a sergeant in the Army - and his address as 20 Westholm, Letchworth. Witnesses at the wedding were Rosina Turner, Rosie’s mother, and Frank Owen, Rex’s brother. From early 1919 until August 1919 he worked in the Appointment Department of the Ministry of Labour at 16 Hills Road, Cambridge. 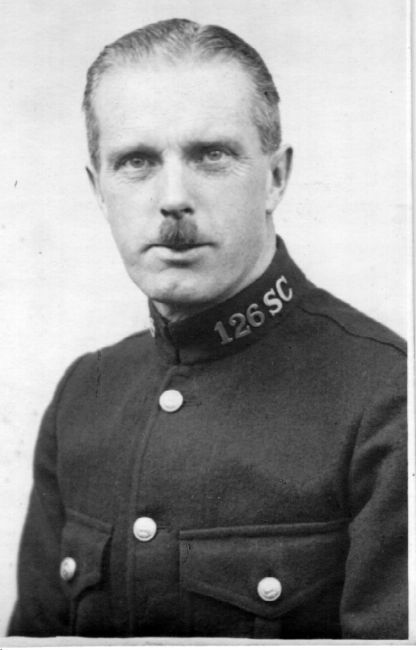 On 1st September 1919 he went to work for Phoenix Motors Ltd, Motor Car Manufacturers of New Icknield Way, Birdshill, Letchworth, as Chief Accountant and had charge of the General Office, Costings and Wages Department. In 1924 Phoenix Motors went into liquidation and Rex left. The family lived in a Council House in Spring Road, Letchworth. Their first daughter, Muriel Rosina Owen, was born on 5th October 1919. Followed by their only son, Robert James Rex Owen on 29th September 1923. After employment with Phoenix Phoenix, Rex started work with Marmet Ltd, Perambulator Manufacturers of Pixmore Avenue, Letchworth, where he remained until 1940, and his work covered supervision of Works and Progress routine, Wages Accounts and Costings, rising to the position of Works Manager. The family moved to 145 Jackmans Place in the mid 1920's. Their second daughter Ann Linda Dorothy Owen was born on 6th February 1931. In 1932 the family bought 31 Meadow Way, Letchworth and after paying the deposit had only 2/6d left. The family stayed in this house, with Rosie on her own from 1970, when Muriel died, plus lodgers until her death in 1983. In 1940, Rex was seconded into temporary employment with the Civil Service to work on the placing of all personnel who needed accommodation. Rex continued after the War with the Civil Service until he was appointed Personnel Manager of D. Napier Ltd at Luton Airport, Bedfordshire, an Aircraft Engine Manufacturer; he started work here on 28th May 1947 and held this position as Personnel Manager until his death. Rex played the piano and could sight read and play by ear. He later had lessons to learn the organ. He played the organ at St Mary’s Church from about 1919 and moved to play at St Nicholas’ Church, Norton, Letchworth in the 1940s, returning to St Mary’s in about 1950, where he played until his final illness prevented him. For many years he also played the piano at local dances, generally by ear, without music. Rex was a very kind and considerate father and grandfather. The death of his son, Robert, in 1945 was a great blow to him, which took a long time for him to come to terms with. His grandson, Robert, called him Dad and Rex treated him lovingly like a father. After suffering a long and painful illness he died from leukaemia on 16th December 1957. Under his will, probate was granted on 27th January 1958 to Dorothy Rosina Owen and his effects were valued at £1,327 5s 11d.